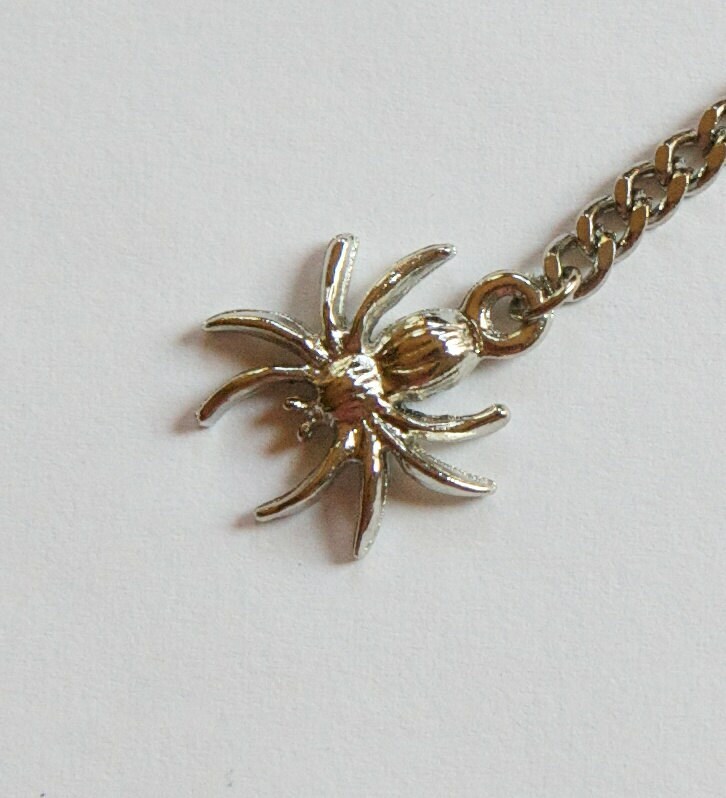 These are vintage silver tone plated spider charms that are linked to a piece of chain. The spider measures 18mm long with loop X 16mm wide. With the chain this is 73mm long. You will receive 4 pieces.